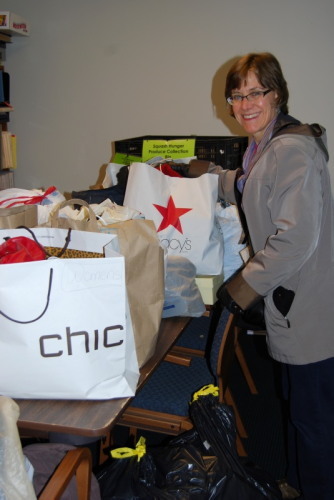 B’nai Sholom congregants arrive with winter clothes to contribute to the sy nagogue’s annual winter clothing drive, held on Sunday morning, November 1. 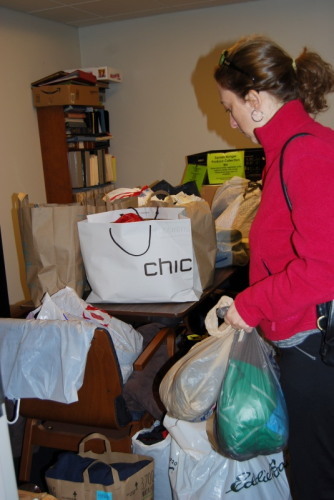 B’nai Sholom’s Social Action Committee delivered over 40 bags of assorted winter clothes to the Interfaith Partnership for the Homeless in Albany. The congregation collects warm clothing each fall and warm weather clothing each spring for donation to those in need.